A holiday house in Dubrovnik-Neretva County costs on average GBP 530 in the cheap travel period and GBP 1,043 in the peak season per week. These details are of course in relation to the house and not per person as well as includes the obligatory additional charges. 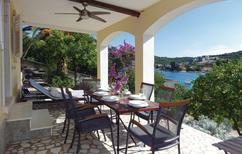 Holiday houses in the county of Dubrovnik-Neretva in Croatia are like a magnet for travellers from all across the globe. Holiday homes built on the edges of the valley, surrounded by lush green parks close to the ocean, quietly blend into the rich heritage of the county. Many of these holiday homes are found in the historic towns of Ston, Dubrovnik and Korcula in spectacular rows as they were once built by merchants in the renaissance period. 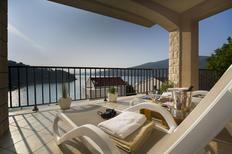 Dubrovnik-Neretva has many parks and natural reserves with holiday rentals facilities. 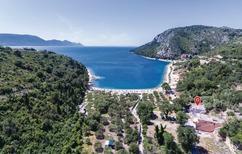 One can book holiday apartments in the Lastovo archipelago or make the most of a vacation in a holiday home by renting holiday houses close by the Mljet National Park. Cultural treasures are plentiful Dubrovnik. There are a total of 168 protected historical sites. In fact many of them were listed as UNESCO World Heritage sites in1978. 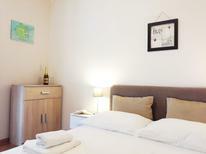 It is an exciting experience to live in holiday apartments close to such historically significant locations. 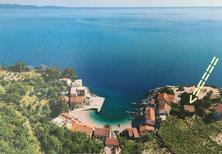 Taking holiday houses to rent in Dubrovnik-Neretva is never a disappointment for anyone with a bent for some adrenaline. Many sporting activities, mostly water based, such as wind surfing, sailing, water skiing and underwater fishing are popular among travellers. 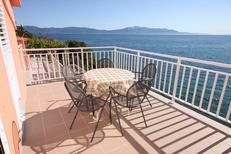 A few holiday rentals also provide tennis lawns or volleyball playing fields on the premises. But the most famous sport in the entire county is water polo which hardly comes as a surprise given the popularity of their team called 'Jug'. George Bernard Shaw once said that those who wish to see heaven on earth should come to Dubvronik, and truly that statement lives up to the reality.